This 35' male gray whale was found deceased on the shore of East Sooke Park on Vancouver Island in 2010. 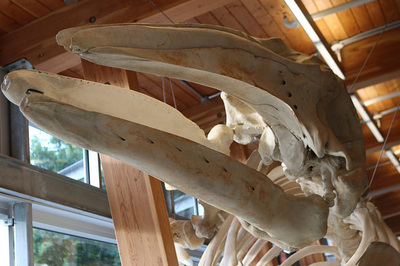 The cause of its death was unknown though the whale appeared emaciated. 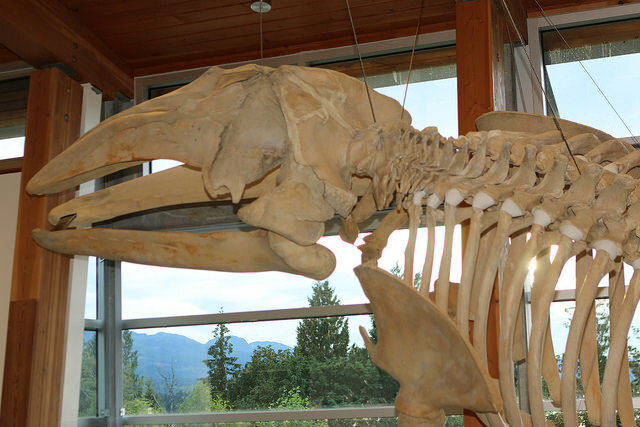 Days after it washed up, Sharon Cooper of the Sc'ianew First Nation in Sooke noticed that the body was being desecrated by vandals and became determined to protect the spirit of this magnificent animal. 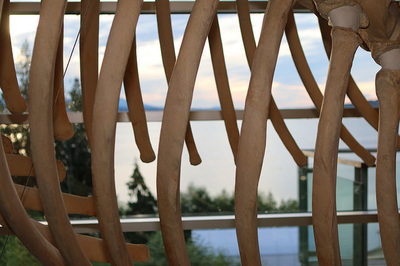 She spearheaded a unique collaboration between the Sc'ianew, Vancouver Island University and the Department of Fisheries to bury the whale on Sc'ianew land with the hope that the skeleton could one day be made available to research and used for public interpretation and engagement at Vancouver Island University. 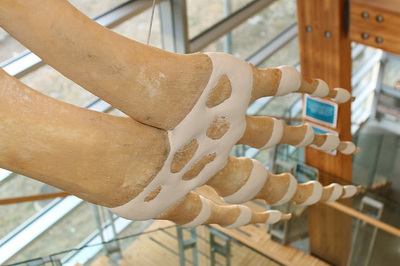 This exhibit, completed in June 2015, was designed within the concept of the field station, a state of the art LEEDS building. All three floors of the station represent the water column from sea floor to surface. 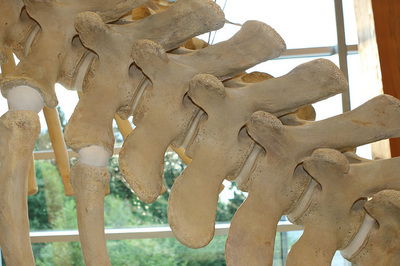 The skeleton is seen from the main doors as you enter the building emerging above the upper floor in a breach, slightly rolled with a gentle twist through his spine as he begins to fall back into the water. 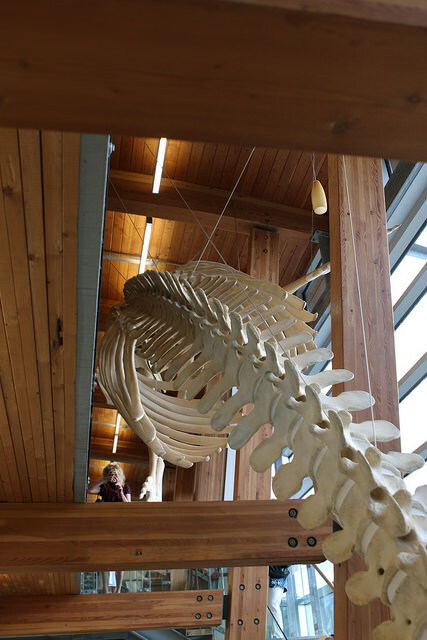 From the all-glass back wall of the building, the entire whale can be seen extending through the three floors of the building above the open staircase.